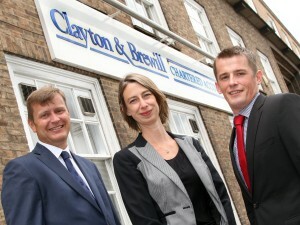 Clayton & Brewill - chartered accountants who are firmly on your side. Clayton & Brewill was established as a Nottingham chartered accountancy practice in 1946 and we continue to build on our reputation for excellent advice and first class service to business and personal clients alike. We have a team of three partners and 23 staff and our main office is on Canal Street in Nottingham, with subsidiary offices in Long Eaton and Melton Mowbray. Naturally the majority of our clients are based in Leicestershire, Nottinghamshire and Derbyshire, but our specialisms in providing chartered accountancy services in diverse sectors such as doctors and GPs, farmers, manufacturers, and fast-growing owner-managed and family businesses, has led to Clayton & Brewill working with clients across the UK. Clayton & Brewill – chartered accountants who are firmly on your side. Authorised by ICAEW and ACCA, Clayton & Brewill offers all the essential auditing, accounting, compliance and tax services, and our people are generalists in the very best sense of the word, making us trusted and longstanding accountants to many successful businesses and individuals. Within the firm we have a dedicated payroll team with expertise in helping employers to manage and implement Real Time Information (RTI) and the new pension auto-enrolment requirements. Most recently, Clayton & Brewill became a licensed probate firm – one of just a handful of accountants in the region to hold this accreditation. Think Clayton & Brewill could help you? Wherever you are based and whatever your accountancy needs, you will find that the Clayton & Brewill ethic is built on not just sharing our clients problems, but solving them. 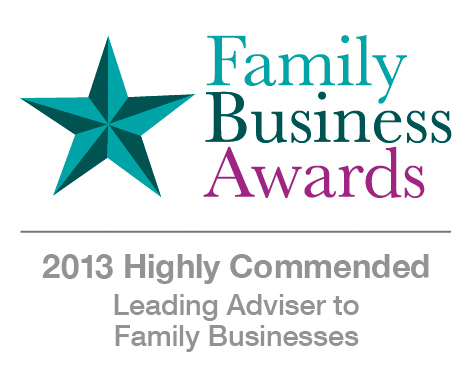 You’ll find us to be proactive, supportive and informed, with a genuine care for clients both new and old. Click here to find out more about how we work with our clients. For a friendly and confidential conversation about any aspect of your accountancy needs please drop us an email or call the Clayton & Brewill Nottingham office on 0115 950 3044.
in the 2013 Family Business Awards.